A vivid, well-written, vitally important book. June 7, 2016 | Most of the nation's approximately 18,000 police departments receive scathing criticism from one of their own: an author who began as a San Diego beat cop in 1966 and rose to become a police chief in Seattle. Stamper follows up his first book (Breaking Rank: A Top Cop's Exposé of the Dark Side of American Policing, 2005) with a more contemporary—and more critical—account. He concludes that police departments as currently structured—akin to military units with force as a dominant characteristic—must be rebuilt. 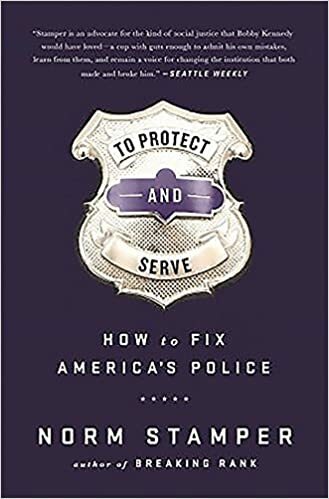 The author recognizes that almost every police agency includes a majority of uniformed officers and plainclothes detectives who place polite, effective service above brute force. However, he maintains, the rogue cops, although a minority, too often exercise undue influence, infecting everybody with their negative attitudes toward minority and mentally ill citizens, who deserve respect rather than stigmatizing. The author does not shy away from specific incidents of unarmed citizens killed by police; he explains, for example, why Michael Brown should never have died in Ferguson, Missouri. Norm Stamper is an American former chief of police and writer known for his role as Chief of the Seattle Police Department ( 1994-2000) responsible for Seattle's response to the protests of the WTO Ministerial Conference of 1999, which eventually led to his resignation. Kirkus Reviews is an American book review magazine founded in 1933 by Virginia Kirkus. The magazine is headquartered in New York City. Even with eyes watching, some cops continue to cross the line.